Back in June, the SFdS Book Club joined forces with our Gay Straight Catholic Alliance and Social Justice Ministry to put on a series of events which culminated with “A Conversation with Father James Martin, SJ: Author of Building A Bridge.” A great time was had by all, including Father Martin himself (read what he had to say here and here)! Thanks to proceeds from book sales and donations, SFdS was able to raise $560 towards gift cards for the Ali Forney Center, an organization which SFdS has partnered with in the past. Their mission is to protect LGBTQIA youth from the harms of homelessness and empower them with the tools needed to live independently. 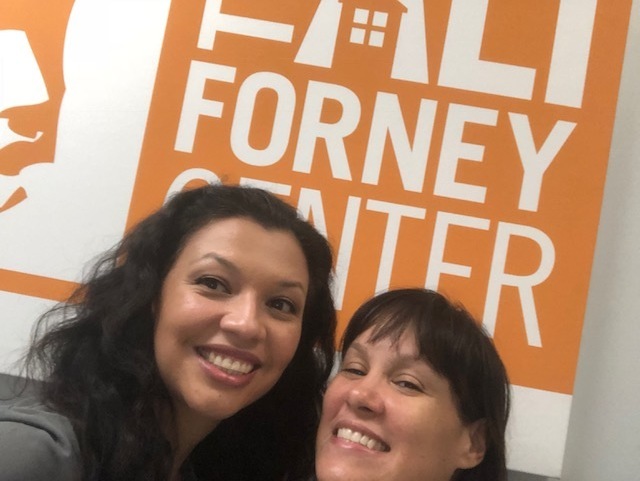 Book Club co-leaders Cynthia Bastidas and I met in person with Andria Ottley, Development Associate for the Ali Forney Center to present our donation and learn more about AFC. Cynthia and Andria posing with the stack of gift cards totaling $560. Great job, SFdS! To say that we were blown away by all the good that AFC does is an understatement. What first struck us was the clarity and organization with which AFC handles the gifts they receive. Andria could not have been more transparent when describing how they direct donations to their various programs and facilities. For example: our Starbucks and H&M gift cards will be used as presents and incentives for kids to lift their spirits and to celebrate diplomas earned from internal AFC programs as well as high school and other certification programs. The struggles that AFC’s clients face can be hard to comprehend if you’ve never experienced homelessness. AFC understands the unique challenges and works hard to address them, beginning with the practicality of their requests for items such as McDonalds or Starbucks gift cards. Andria pointed out that “these establishments offer a refuge for the kids because they stay open late and offer a safe space for the price of a cup of coffee or inexpensive meal. It seems like a small thing but it's a big thing for us and our clients, especially late at night or during the cold winter months." 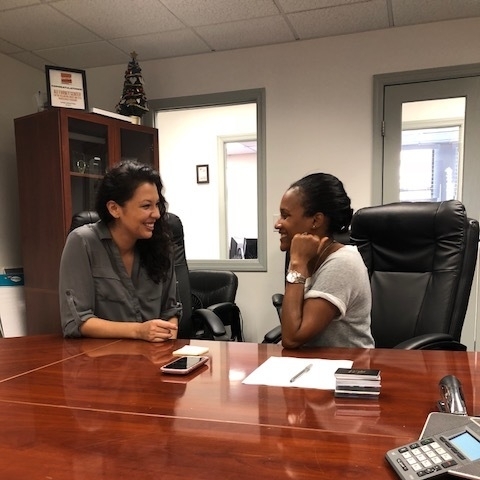 Cynthia and I walked away from our meeting with a much better sense of the reality homeless kids face—and the unique conditions that LGBTQIA suffer on the streets. Whether for reasons of religious intolerance or ignorance, they were not welcome in their home environment. We as citizens and Catholics must do better and in fact, are called to do so: “Give justice to the weak and the fatherless; maintain the right of the afflicted and the destitute.” (Psalm 82:3) The Ali Forney Center is certainly heeding the spirit of this call.